Some called Grace O’Malley a pirate. Even as a young girl, Grace O’Malley wanted to be part of the action. In Ireland, this was pretty normal, but her father said no. Her gorgeous long red hair, he said, would get caught in the rigging of the sails. 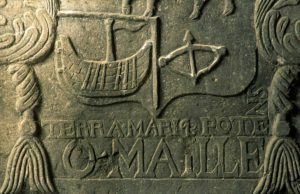 Grace cut her hair and joined the family business – a fleet of ships charging “fees” to sailors for fishing off O’Malley’s extensive lands along the western coast. 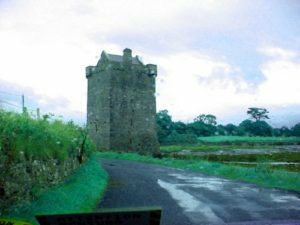 Grace and her family lived by Brehon Law. One Brehon law concerning marriage was called “For One Year Certain.” That meant that after one full year, either spouse could simply say the marriage was over. And keep the property they brought into the marriage. 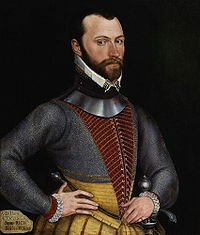 In 1566, Grace married her second husband, Iron Richard Bourke. At the end of one year, she went to his castle, Rockfleet. When Richard arrived, Grace called out from an upper window that the marriage was over. Iron Richard rode away, leaving his castle to her. Which he did not have to do. As time passed, Grace assumed more and more of the operations of her family. In 1593, the English governor of Grace’s area, Richard Bingham, taking his job seriously, arrested Grace’s sons and her half-brother and confiscated their vast property. Furious, Grace demanded their release and the return of all O’Malley property and assets. Bingham replied that Grace was free to write a letter to Queen Elizabeth, listing her complaints. Grace, then 63, knew only too well how that would work out. 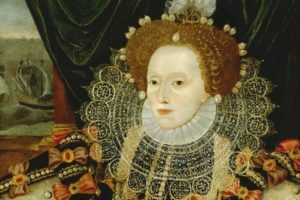 She took one of her ships, sailed down to London and demanded to see the queen. 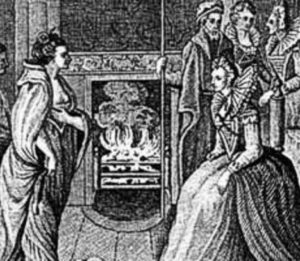 Elizabeth’s officials said, “Utterly impossible.” When Elizabeth, 60, hearing that this woman, famously known as an Irish pirate, was in London, she couldn’t wait to see Grace in person. She invited Grace to Greenwich Castle. The two strong, red-haired, independent women hit it off. Elizabeth agreed to free Grace’s relatives, restore her property and even recall Bingham. In return, Grace promised to stop supporting Irish lords in their fight against the English crown. Grace returned home to her family and her lands. Bingham was indeed recalled. Grace died about ten years later, perhaps in 1603, probably at Rockfleet Castle. That same year, Elizabeth died.